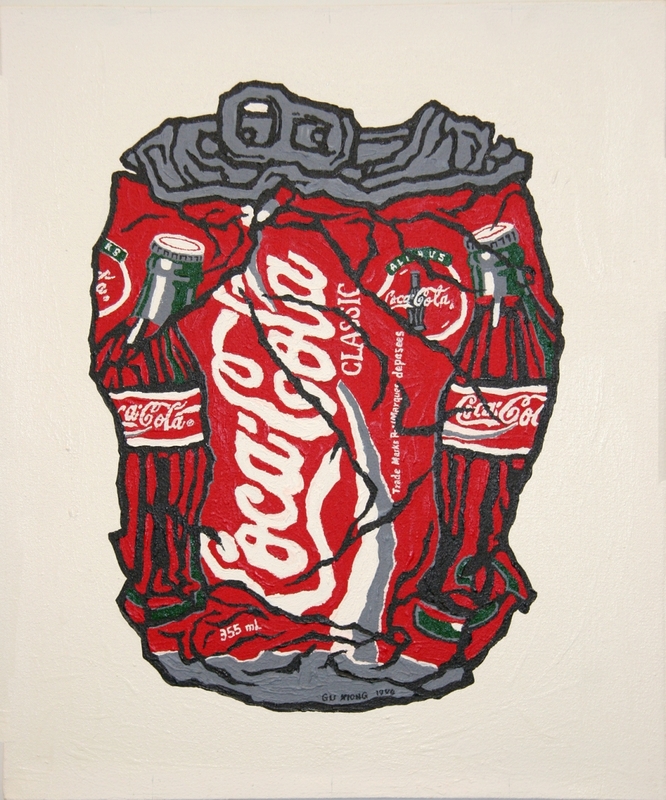 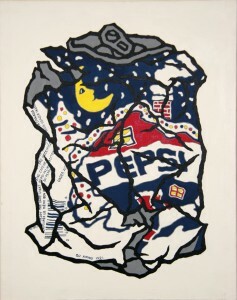 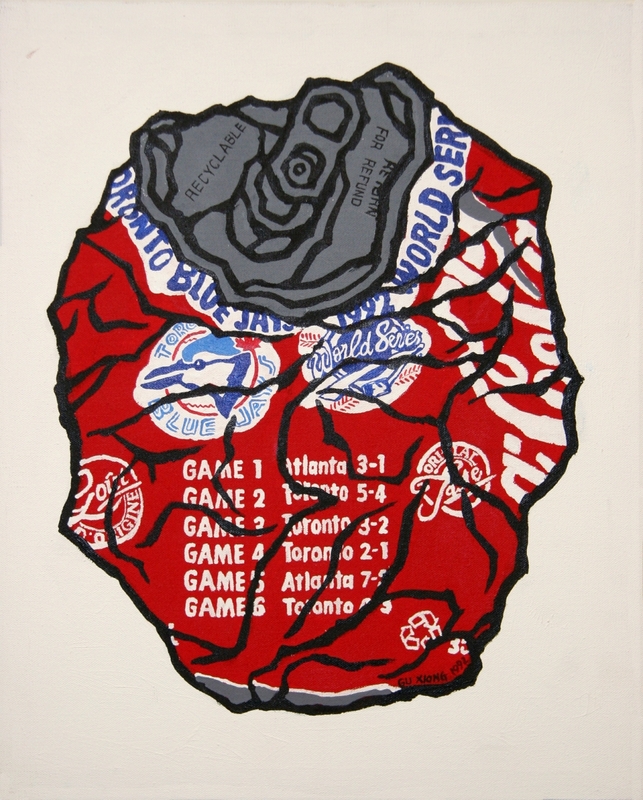 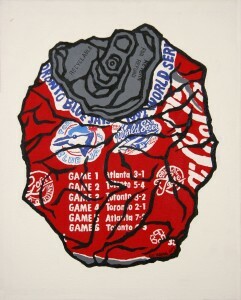 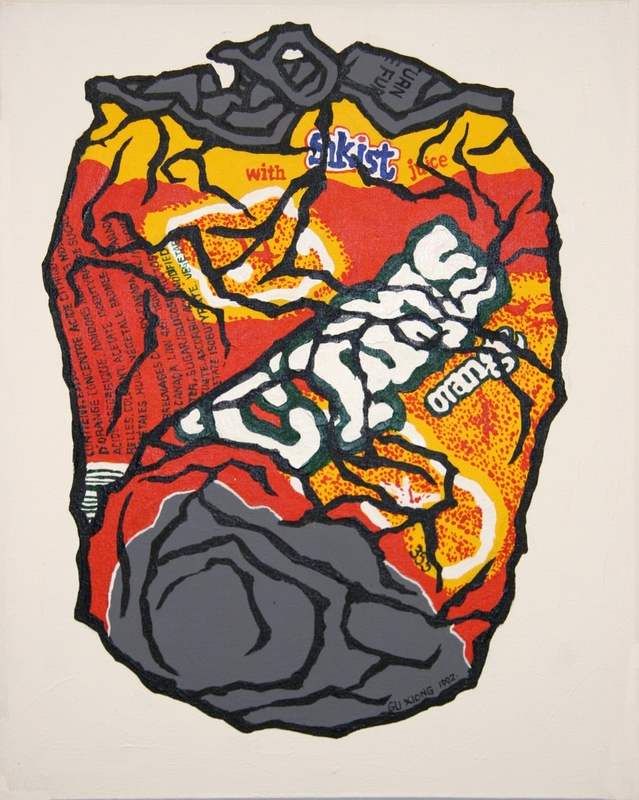 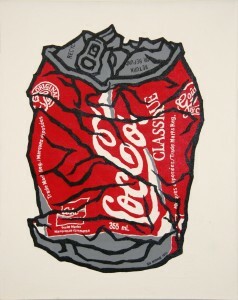 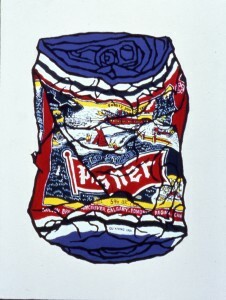 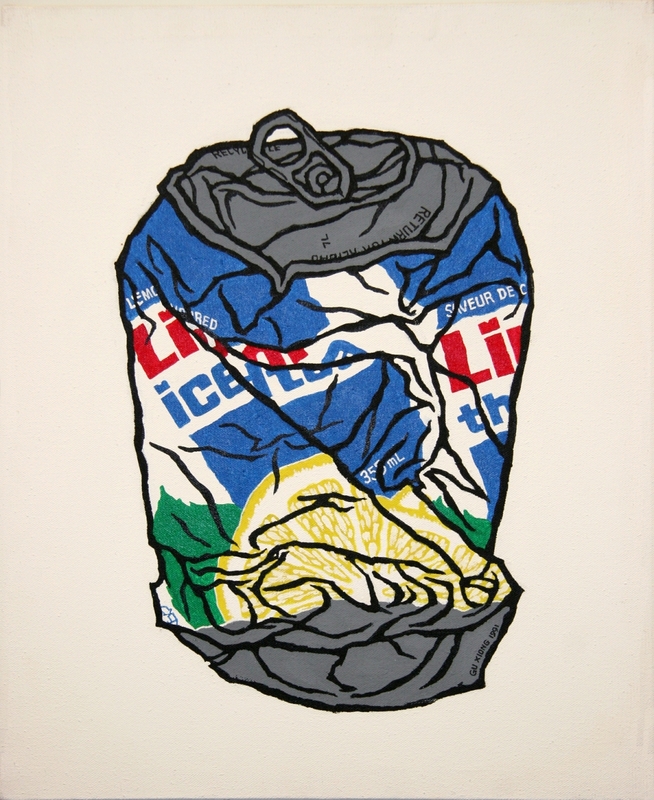 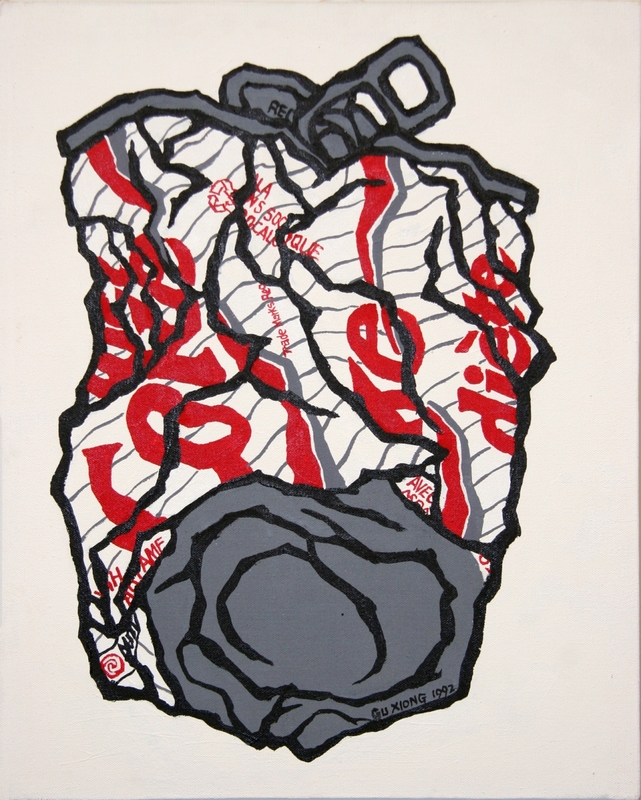 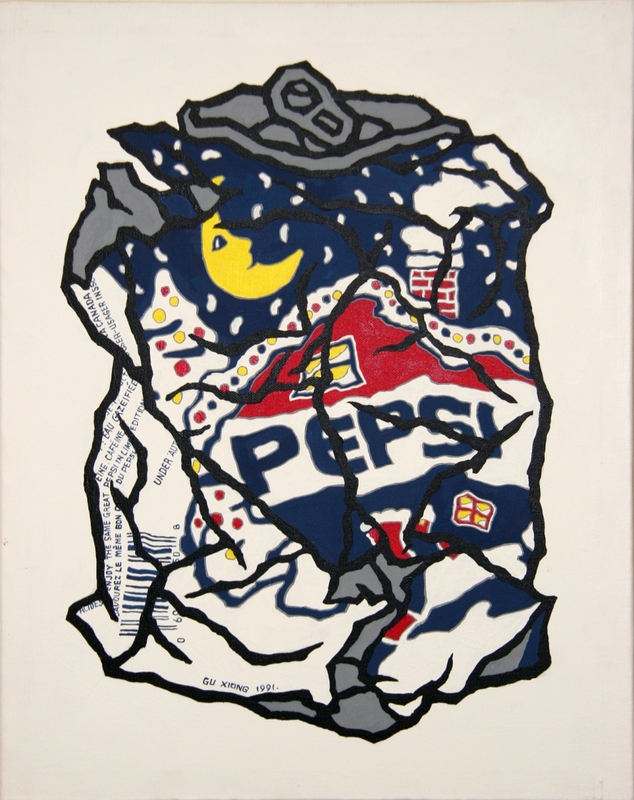 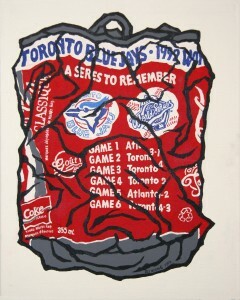 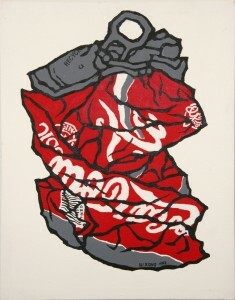 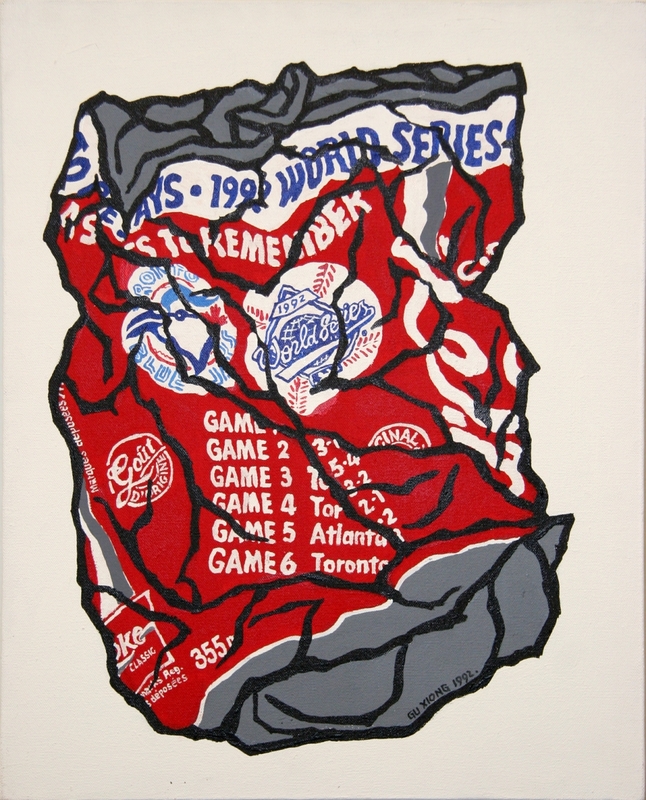 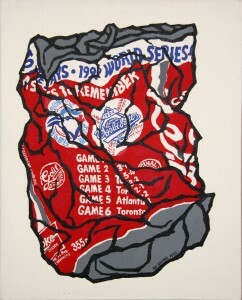 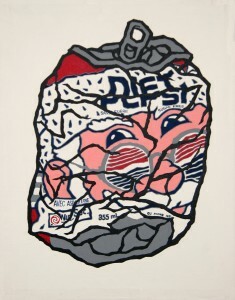 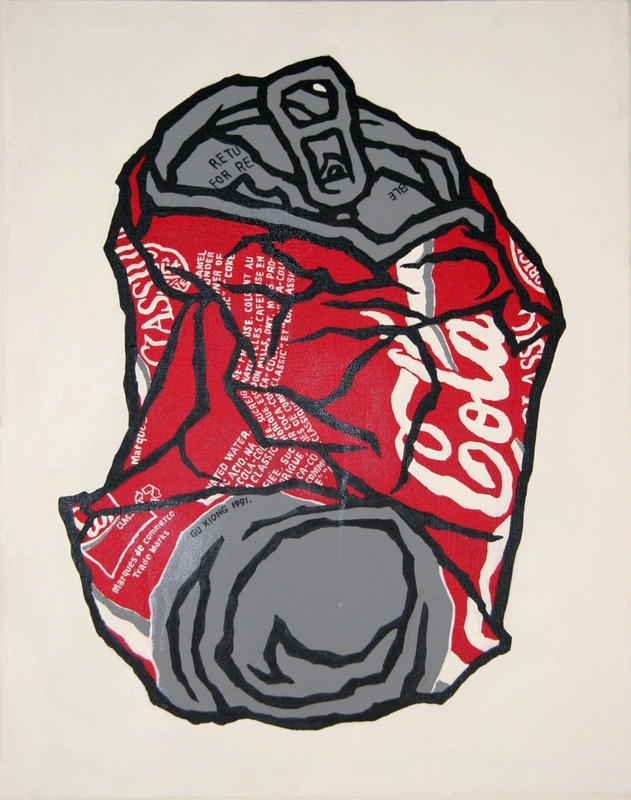 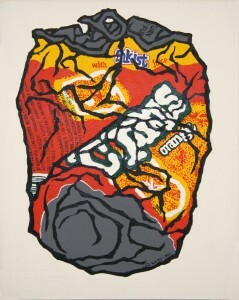 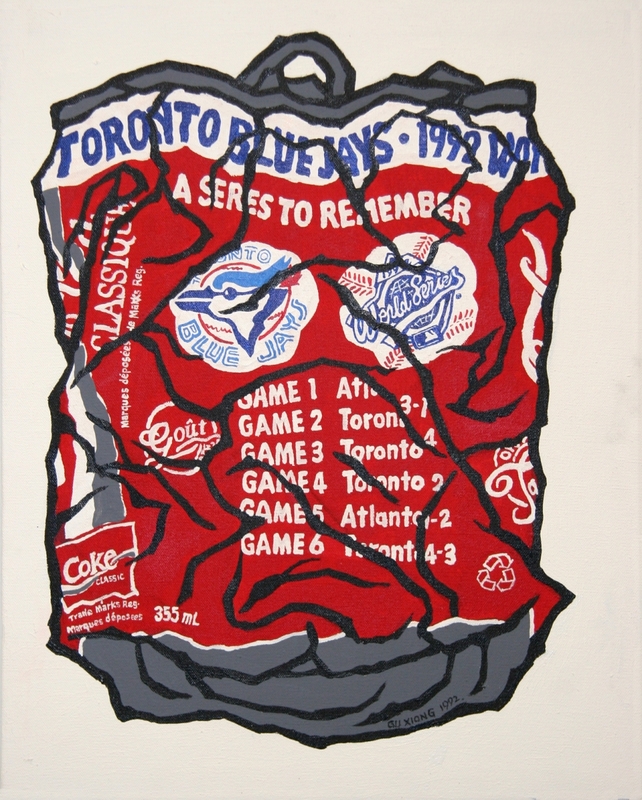 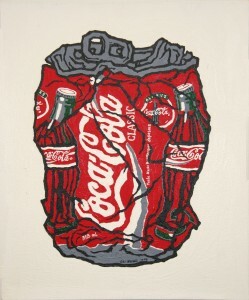 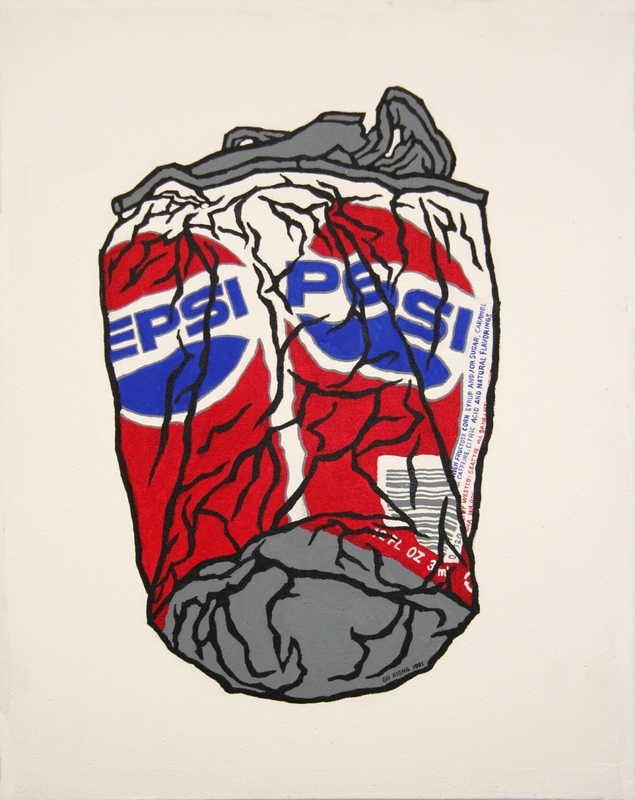 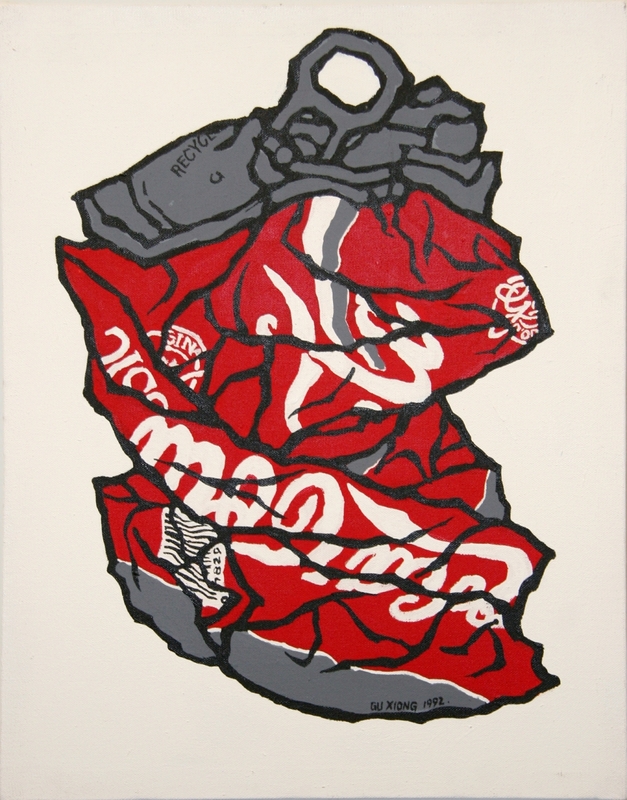 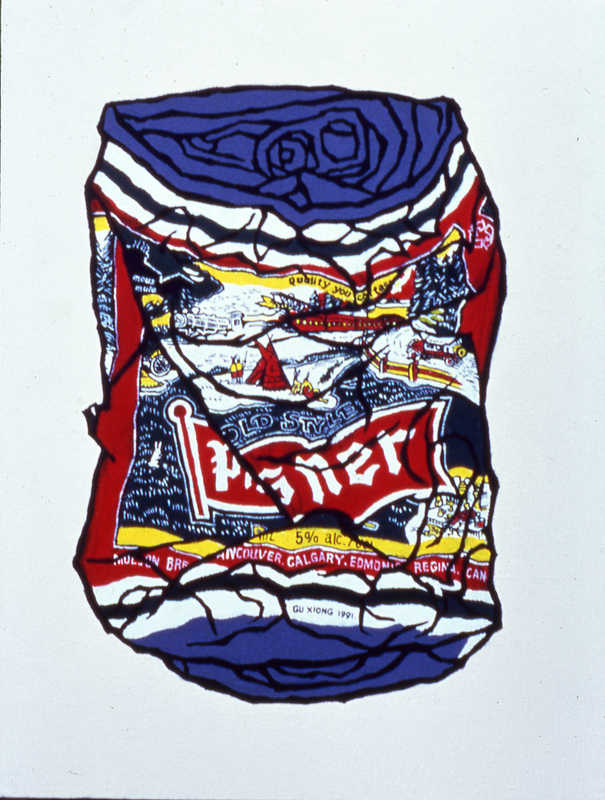 Gu Xiong’s Crushed red Coca Cola Cans embodies the contrast of his Chinese heritage and the cultural transformation he experienced after moving to Canada, with the universally recognizable Cola cans showing both English and Chinese text. 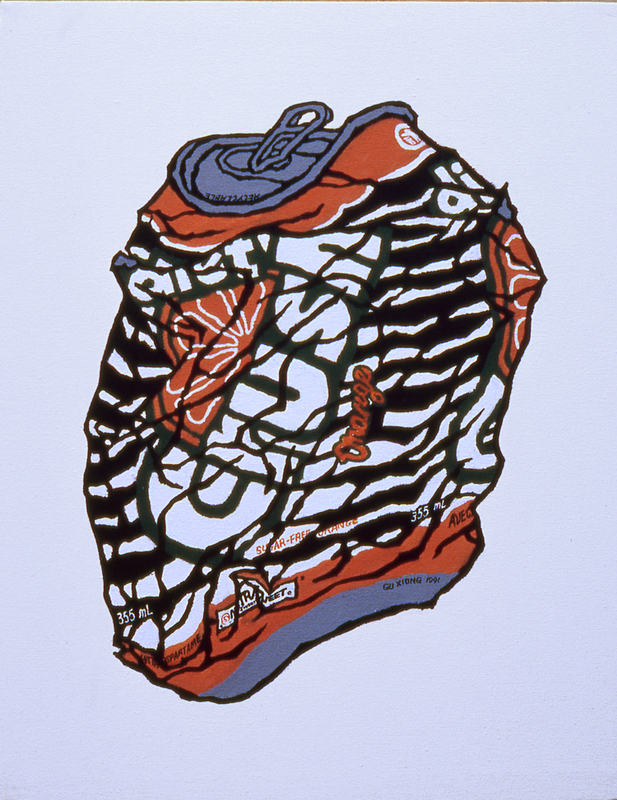 This installation speaks to the individual as part of a group or community. 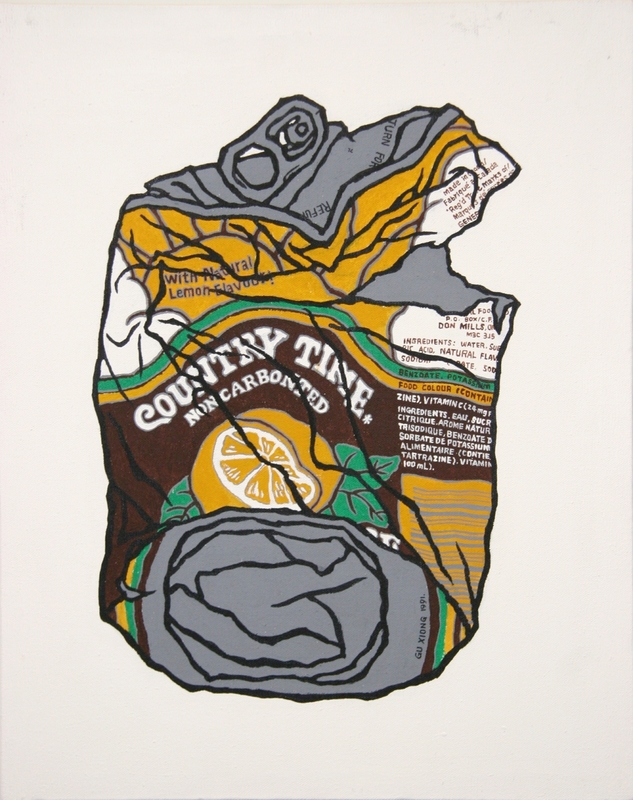 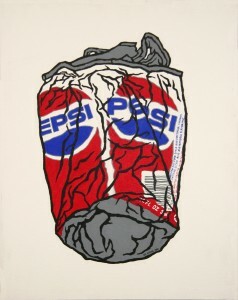 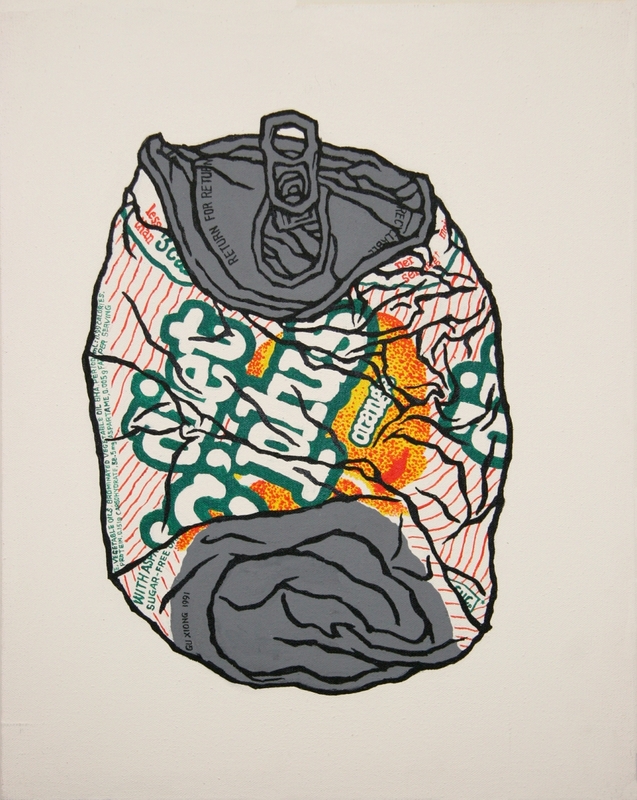 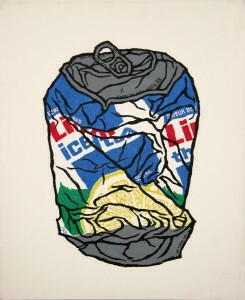 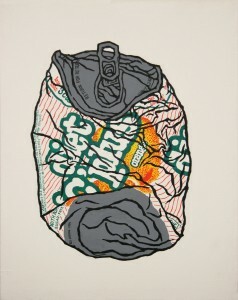 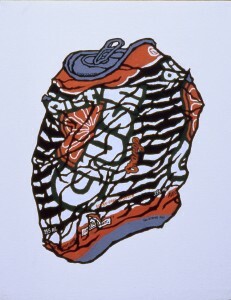 The use of repetition, pattern and context as artworks forces us to imagine the personal connection between waste and the human experience. 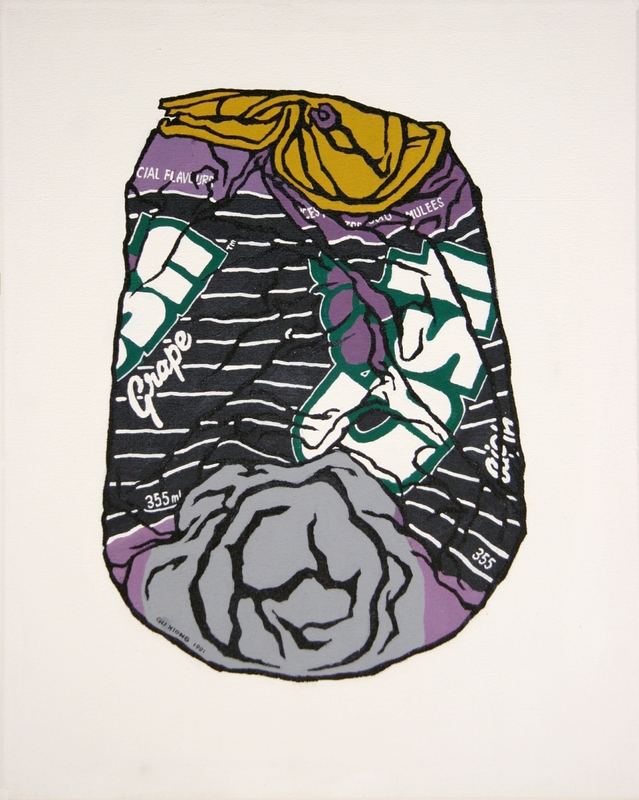 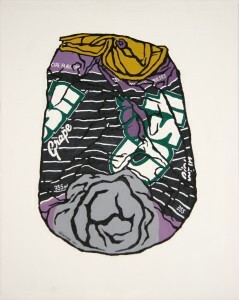 The crushed red Coca Cola cans show how Gu’s early experiences as a Chinese Canadian are intimately tied to the litter of consumer consumption.